Metallic shoelaces are a year-round customer favorite, but they really get popular as the holidays approach. When the days get shorter and darker, everyone likes an opportunity to shine during all of those seasonal parties and festivities. This entry was posted in Shoelace Highlights and tagged All About Shoelaces, Custom Shoelaces, Holiday Shoelaces, Lost in Lace, Metallic Shoelaces, Organza Shoelaces, Ribbon Shoelaces, Satin Shoelaces, Shoelaces, Sparkle Shoelaces, Sparkly Shoelaces. 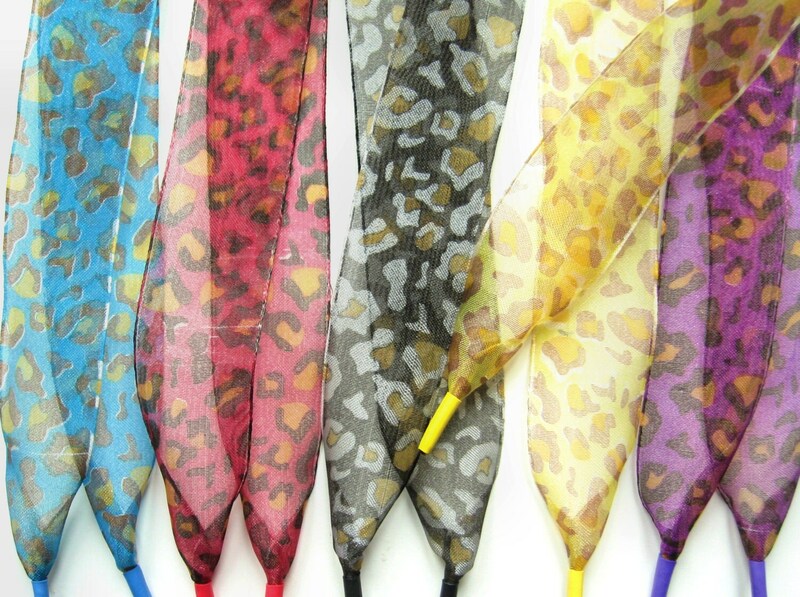 Animal print patterns range from classic leopard and zebra prints – used often in accessories, clothing and home decor – to the bolder prints and colors meant to stand out and make a definite statement. When used in shoelaces, pretty much anything goes! 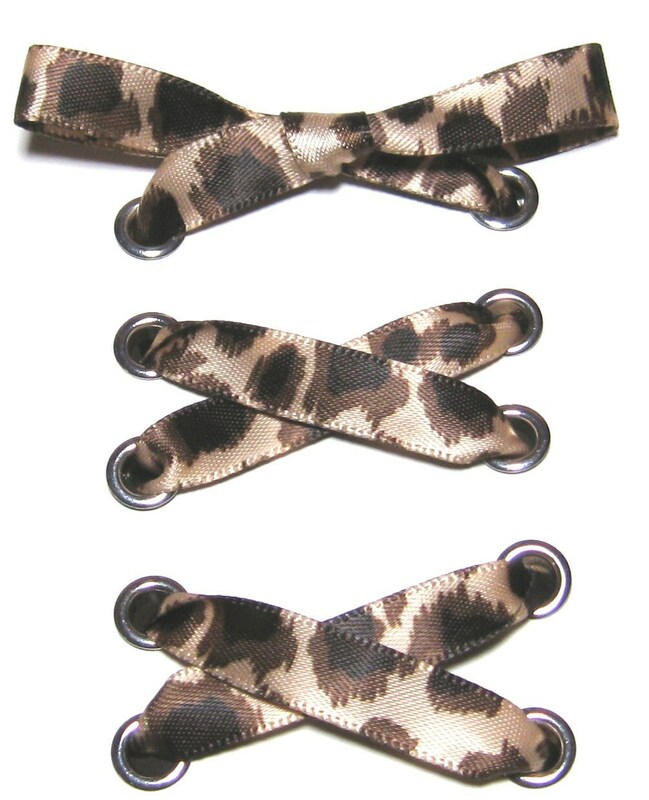 This entry was posted in Shoelace Highlights and tagged All About Shoelaces, Animal Print Shoelaces, Animal Prints, Custom Shoelaces, Lost in Lace, Organza Shoelaces, Ribbon Shoelaces, Satin Shoelaces, Shoelace Tips, Shoelaces, Zebra Prints. 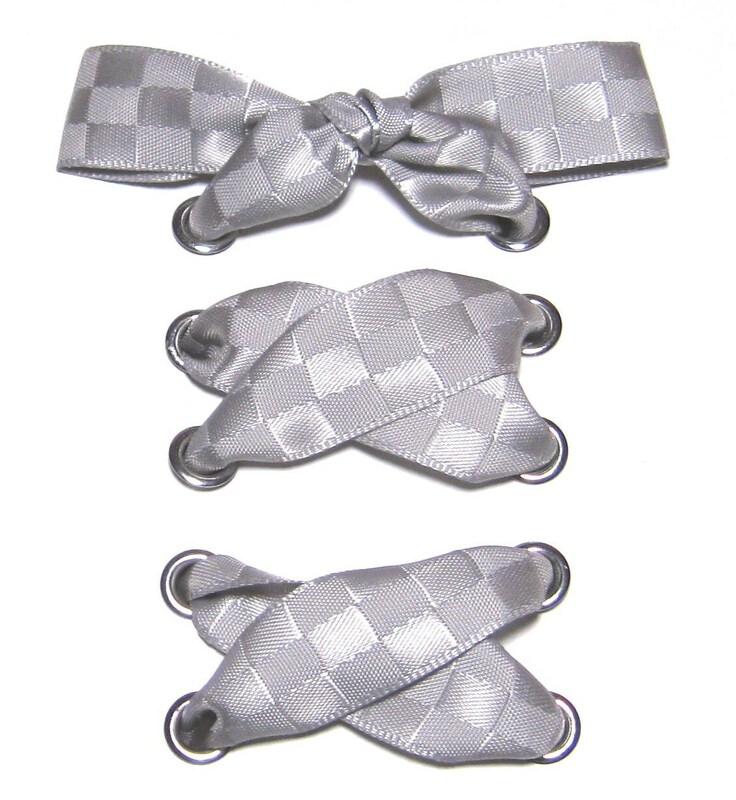 While satin is the most basic of ribbon shoelace materials, it can be nice to mix it up ever so slightly with a touch of texture like the checkered satin in this week’s featured shoelaces. This entry was posted in Shoelace Highlights and tagged All About Shoelaces, Custom Shoelaces, Lost in Lace, Ribbon Shoelaces, Satin Shoelaces, Shoelace Tips, Shoelaces. Despite getting so many requests for velvet shoelaces, I’d been reluctant to make them since there are no suitable lacing materials for double-sided velvet. My customers told me it doesn’t matter if the Velvet shoelaces are double-sided or not since we all know how to lace our shoes to put the plush side on top. Fair enough, so I made my first pair for myself and absolutely LOVED THEM! These gorgeous 3/8″ wide Velvet Ribbon Shoelaces are the ultimate elegant touch whether you opt for something subtle like black or something bolder like bright lime. Velvet shoelaces are also sturdy enough to be used in your everyday shoes or sneakers, and they can be hand washed and drip dried if ever needed. One of my favorite aspects of Velvet Ribbon Shoelaces is how nicely they iron up. They can be easily ironed on a low setting on the matte satin side…no kinks no waves…just nice and straight and smooth, so it’s definitely worth the effort when switching them out to different shoes! They come in a variety of fun and functional colors, and these color samples include both the plush velvet sides and the matte finished back sides to show what they look like when that back side peaks through. The Navy bow above is a great example of that. This entry was posted in Shoelace Highlights and tagged All About Shoelaces, Custom Shoelaces, Lost in Lace, Ribbon Shoelaces, Velvet Shoelaces. My slogan at Lost in Lace™ is “Shoelaces for Everything”, and there are certainly plenty of alternative uses for shoelaces – particularly Ribbon Shoelaces. This month’s topic focuses on my customers’ favorite alternative use which their feedback and my search term results have told me is Hair Ribbons. At first I wondered why someone wouldn’t just use a regular hair ribbon, and then I started looking around and realized it’s not easy to find even simple hair ribbons. So many of the styles out there are aimed solely at little girls, and it seemed women were forced to get creative with their shoelaces instead. Admittedly I’ve used shoelaces as hair ribbons rather than searching online for actual hair ribbons, but then again I’ve got LOTS of shoelaces at my house. Personally my favorite use is out on the golf course. You have to tie your ponytail through your cap or visor anyway, so why not add a little ribbon? The biggest reason I love to do that is because I can make matching shoelaces for my golf shoes, and let’s face it, for many of us looking good on the golf course is about all we’ve got going for us when it comes that sport (at least speaking for myself anyway). It didn’t take long for me to figure out I should probably be offering my customers single shoelaces to use as hair ribbons rather than shoelaces, and that’s when I opened Hair Ye! Hair Ye! (http://HairYeHairYe.etsy.com) at Etsy. Hair Ye! Hair Ye! 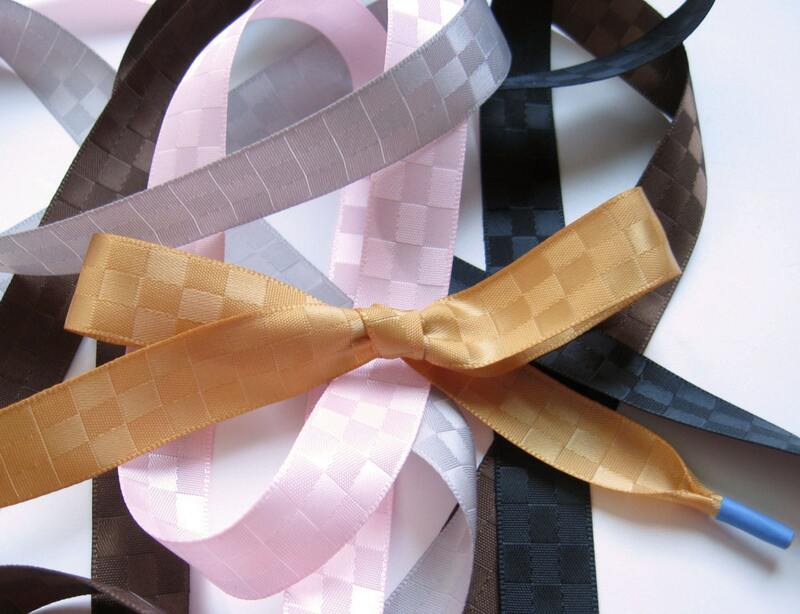 offers hair ribbons in the same 5/8″ and 7/8″ widths that customers most frequently use to convert shoelaces to hair ribbons, but I decided to add some 1.5″ ribbons as well. On a bit of a tangent, I should mention that I’ve solved the problem of self-tying hair ribbons. I usually get a nice bow on my second try, but craning around the mirror watching myself tie an upside-down-and-backwards bow is always a bit challenging. I finally realized if I’d simply tie the bow first and put it on my hair with an alligator clip, I could get a perfect bow every time, and I didn’t even have to untie the bow to remove it, so it was all ready to go for the next time! Anyway, I had to share that mini brainwave since I’m wearing hair ribbons much more often now after figuring that one out. Conversing with customers I’ve found it interesting that many women will only get hair ribbons for their little girls, and the rest of us don’t understand why more women don’t wear hair ribbons. Maybe if they weren’t so difficult to find in adult-suitable styles we’d see more of them, so hopefully my Etsy shop will solve that problem for some of us, but of course the shoelace option is always there. This entry was posted in Other Uses for Shoelaces and tagged All About Shoelaces, Custom Shoelaces, Hair Ribbons, Lost in Lace, Ribbon Shoelaces, Shoelaces. Satin has got to be my favorite shoelacing fabric. The sheen adds a dressy elegance to any pair of shoes, and it comes in widths of 1/4″, 3/8″, 5/8″ and 7/8″ for the perfect look. 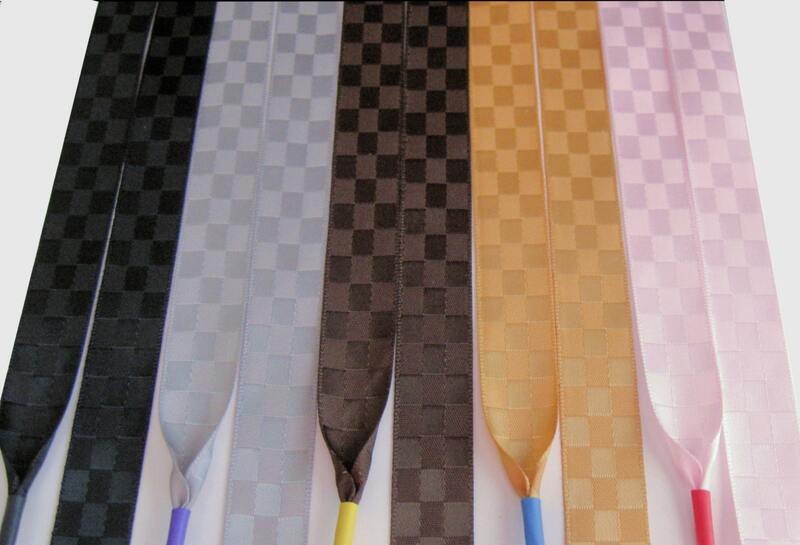 Satin shoelaces are available at all of my shoelaces sites: Lost in Lace, All About Shoelaces and Ribbon Shoelaces. 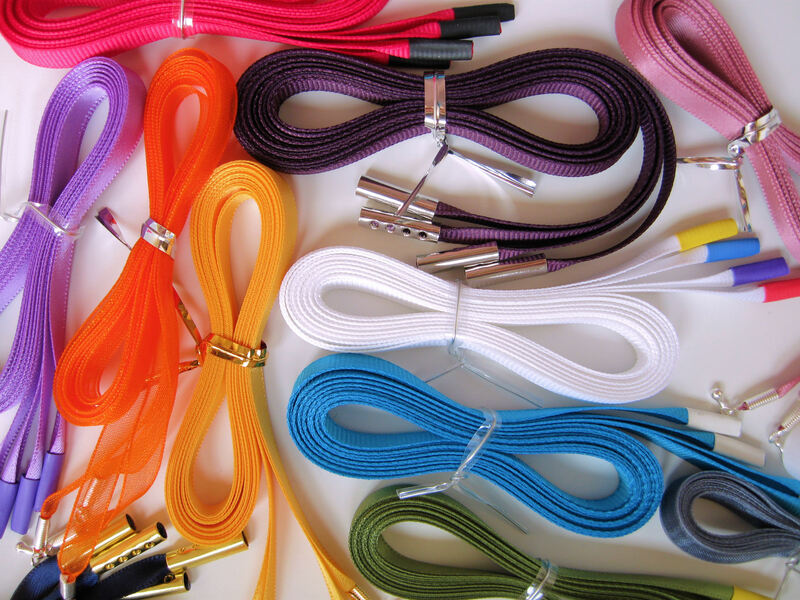 With 30+ colors of double-sided satin shoelaces to choose from, finding just what you need is never a problem. This entry was posted in Shoelace Highlights and tagged All About Shoelaces, Custom Shoelaces, Lost in Lace, Ribbon Shoelaces, Satin Shoelaces, Shoelaces. Tulle Shoelaces – Just for Fun! I’m not sure what even made me think about trying to make shoelaces out of tulle, but it works amazingly well. It’s just a fun and frilly fabric! Tulle shoelaces are available at my “Lost in Lace” shop on Etsy as well as “All About Shoelaces” and “Ribbon Shoelaces by The Boutique Project“. 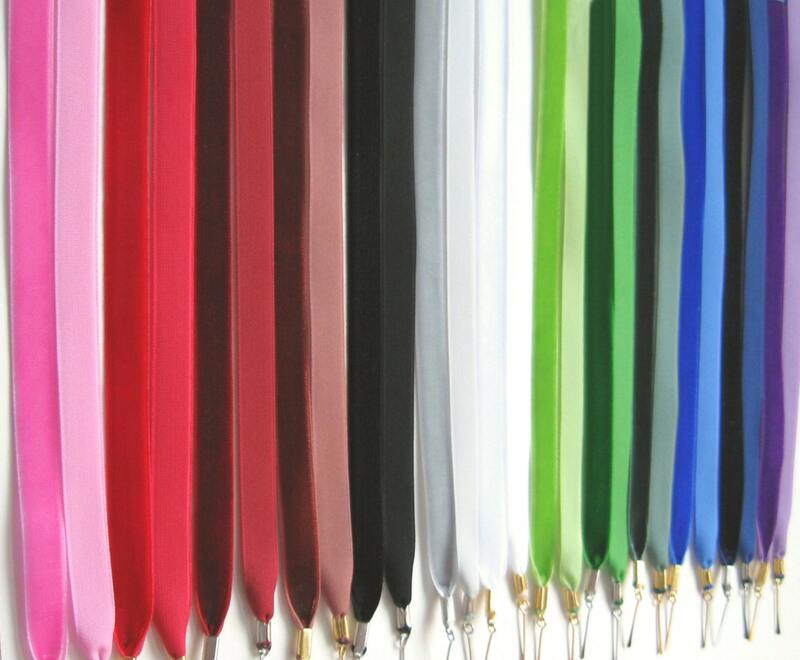 The 26 color choices offer all kinds of possibilities. It’s such a unique shoelace material that it’s hard to resist going a little over the top with something like Lime Green in your favorite basic sneakers. Tulle is actually a little sturdier than organza, so it wears better than one might expect for anyone who’s inclined to sport them on a daily basis. 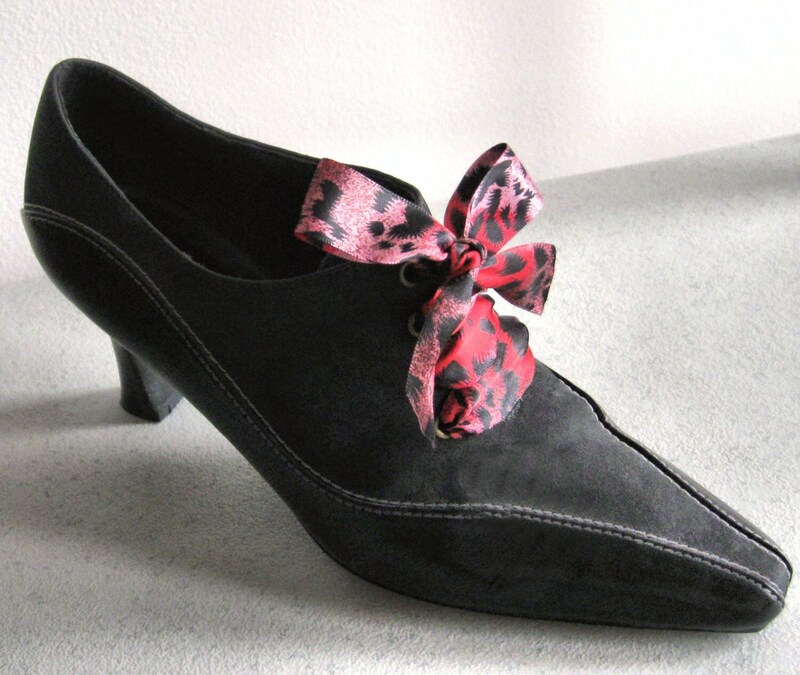 Tulle shoelaces work for all styles of lace up shoes or even as ankle ties to replace straps. Of course they are very popular for weddings, and I undoubtedly see more orders for white and ivory than any other colors, but the other colors gain popularity every day. 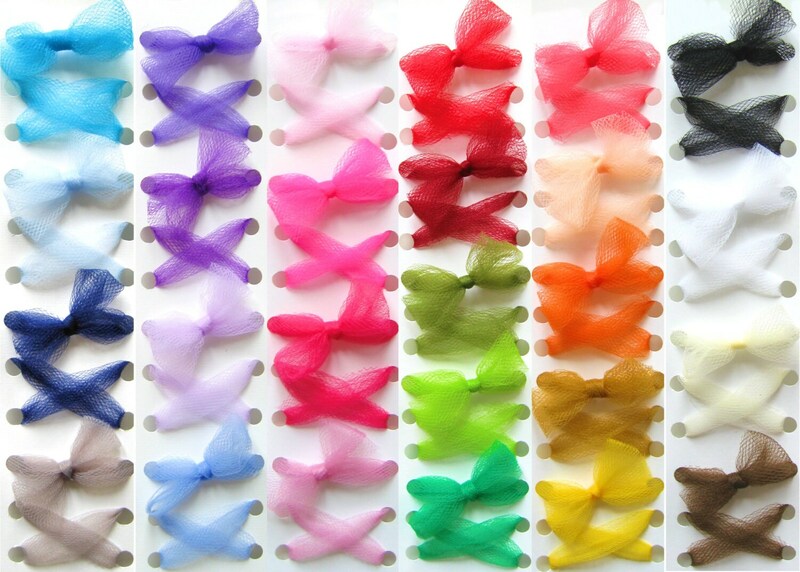 As a matter of fact, I’m off to fill a couple of tulle shoelace orders right now – one for black and one for peach. This entry was posted in Shoelace Highlights and tagged All About Shoelaces, Custom Shoelaces, Lost in Lace, Ribbon Shoelaces, Tulle Shoelaces.